Like a plane without a pilot, a business operating online without a good strategy in place is destined to fail. As the digital landscape continually changes and evolves, companies that aren’t on top of all their online components won’t get the benefits of internet marketing, and in a lot of cases, find themselves scratching their head wondering what went wrong… not to mention, how much will it cost to fix it! 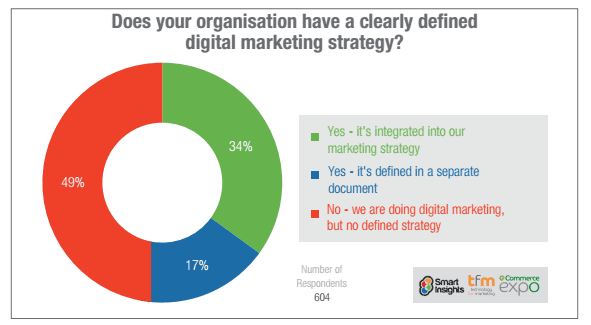 Below we’ll dive into a few key reasons why a digital strategy is paramount. While your favourite football team frustratingly might not get them, YOU need goals. Without specific objectives it won’t take long before motivation starts to wane, and you reach for the quickest fix solution, despite the cost. Your marketing efforts become more and more effective over time with clear goals to focus on; the first part of any concise strategy is to define goals, and how to achieve them. It used to be, just get a website online. Then it was facebook. And then instagram. Oh, and SEO. Now linkedin. I heard twitter was good, get that. In a lot of cases, these resources are implemented in a reactionary manner and outsourced to a multitude of professionals. You should already see the problem here… Without a cohesive strategy in place, these different avenues become directionless; maybe facebook is going great, but a sale is missed when there’s no funnel to the website. A good strategy ties these components together, promoting a strong and consistent message to your audience. With a proper strategy that plans and monitors all of your online activity, you should have a wealth of data to draw from. Suddenly you can now see trends, where your audience is coming from, the campaigns that have performed the best and importantly, where to improve for the future. It means that rather than flying blind, you can now gain confidence that the next promotional expense will garner better results.